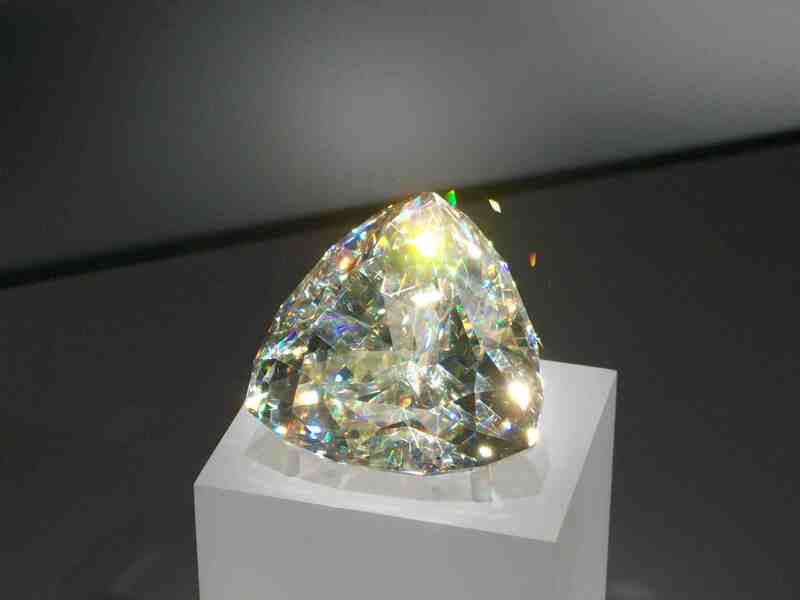 Home » Learning Center » Jewelry and Lapidary » Questions About Lapidary and Jewelry Making » Why Choose a Barion Cut? 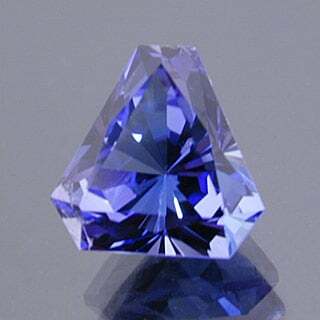 “Tanzanite.” Fancy, elongated Barion triangle cut. 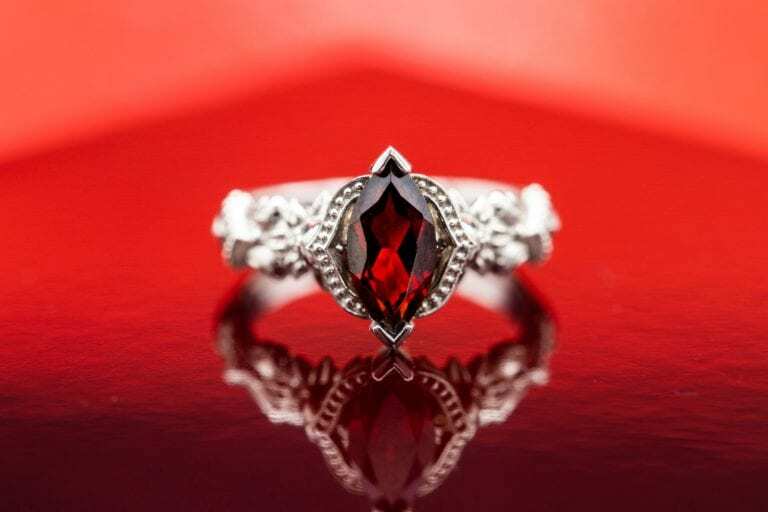 © Dan Stairs Custom Gemstones. Used with permission. I’m probably missing something. I’ve gone through your book, “Faceting The Easy Way.” Preforming a Barion cut to a 42° angle to start seems to me to waste a lot of material. Sounds fine if you’re working with quartz, etc., but I’m not sure I’d want to use this cut for tanzanite or tsavorite pieces. I’m kind of new to this and, as I said, I’m probably missing something. Comments please. What you’re missing is the fact that a Barion pavilion will give you much greater brilliance than any other style. 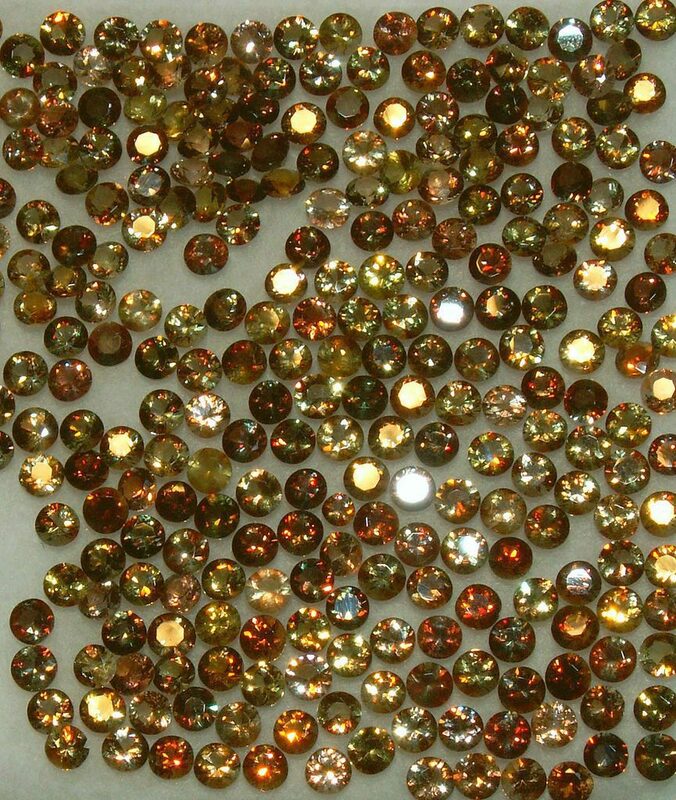 When you choose a Barion cut, you’re choosing to emphasize brilliance and sparkle over weight retention. Another compromise a faceter has to make involves color enhancement. The deeper the cut, the stronger the color will be. A Barion is one of the deepest cuts there is, so it will give you maximum depth of color. 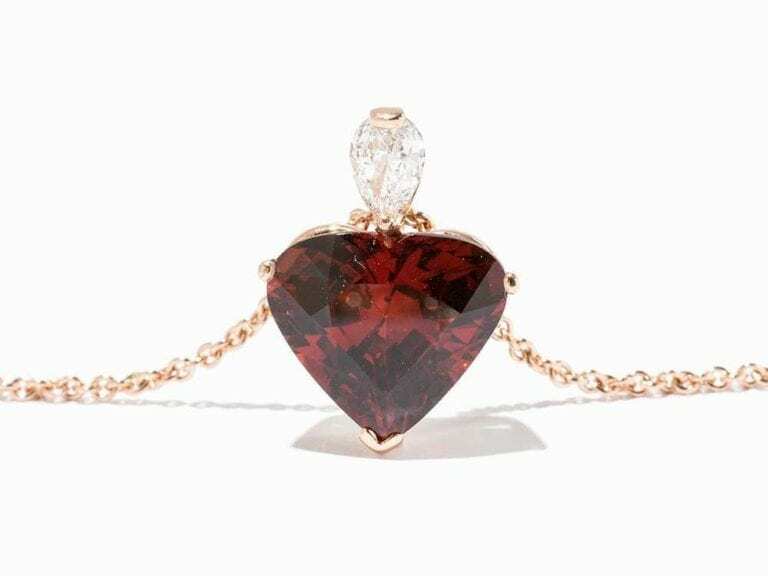 This is an excellent technique for some gems, as the richer color will add to the value of the stone. However, this style can be too much for other gems. 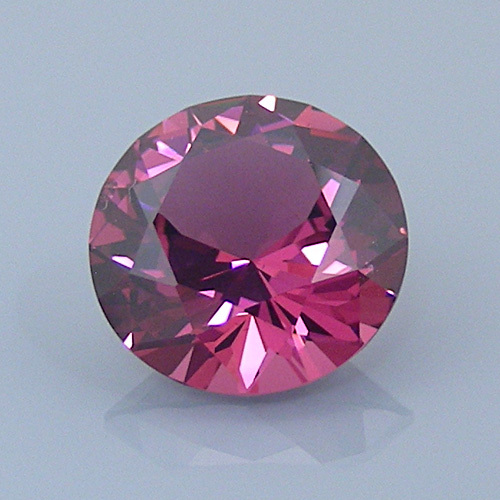 Most varieties of garnet would suffer from a Barion pavilion and end up too dark to appreciate their color. 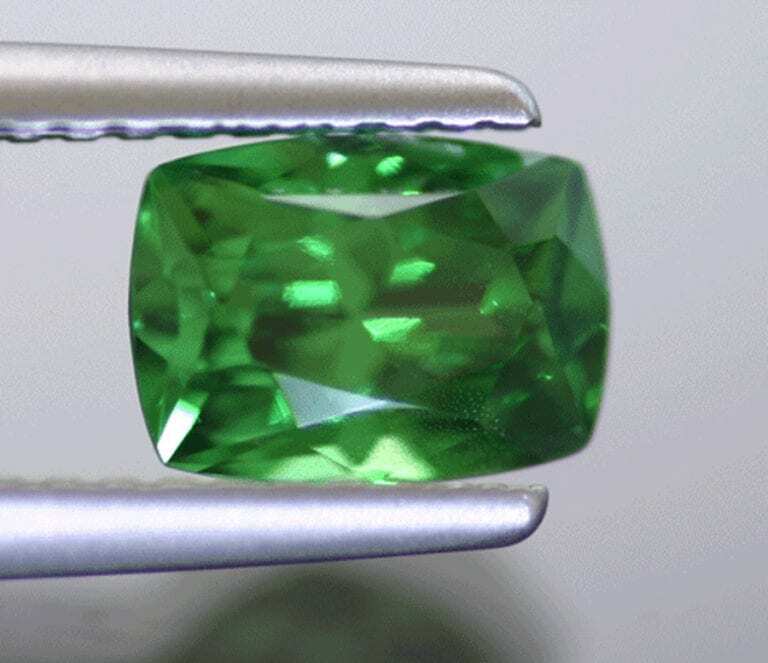 Although not recommended for a garnet with a dark tone, a Barion cut brings out the brilliance in this light-green garnet gem. 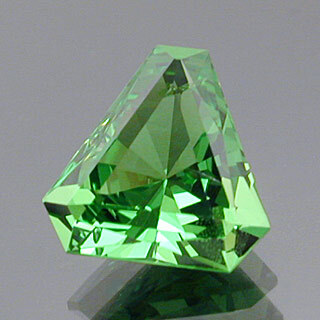 “Tsavorite Garnet.” Elongated, cut-cornered Barion triangle cut. 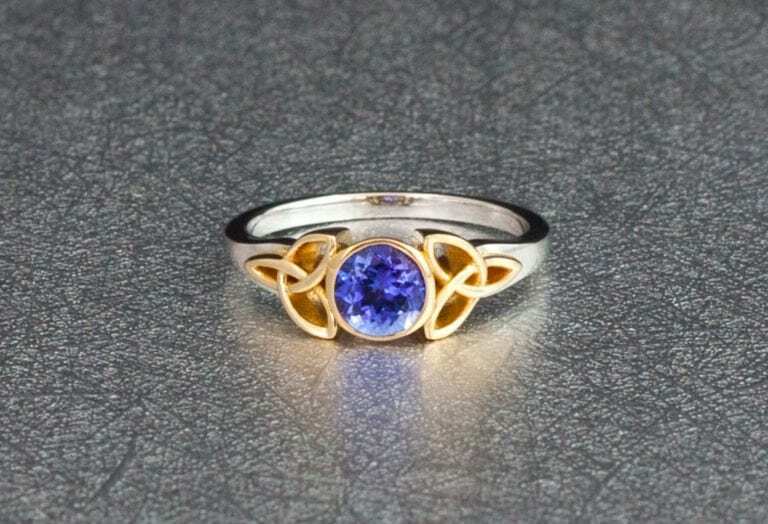 © Dan Stairs Custom Gemstones. Used with permission.